As 2019 elections’ campaigns heighten, Commissioner, Ministry of Commerce, Industry and Tourism, Ruth Geoffrey Alkali, at the weekend organised a football tournament to mobilise support for the reelection of Governor Nasir El-Rufai. The commissioner said, apart from soliciting for vote for her principal who was seeking re-election in the state, the competition would also promote peace and unity among the people of Kagarko Local Government Area where the tournament took place. To her, “there is nothing wrong for me to campaign for my party; All Progressives Congress (APC) which is why am doing it at this time. I know there are PDP members here, if they can see anything good in what we are doing here and what my boss is doing in the state, they will see the need to vote for us at all levels. “The is the very first time something like this is happening in this LGA. They have had male commissioners representing them in the last 16 years, but none of them ever thought of this kind of thing. It is a first of it’s kind”, she told newsmen. Addressing the people at the opening of the football tournament earlier, which kicked-off at Kubacha community in Kagarko LG, she said, the football competition, tagged “The Commissioner’s Cup”, comprised of ten teams drawn from the ten political wards in Kargarko. “Football as a sport promotes unity among people, to this end, today we are gathered here to mobilise support for APC, President Muhammadu Buhari and Mallam Nasir Ahmad El-Rufai for the forth coming elections, as well as promote peaceful coexistence and unity. “Nigeria and Kaduna state is destined for greatness. 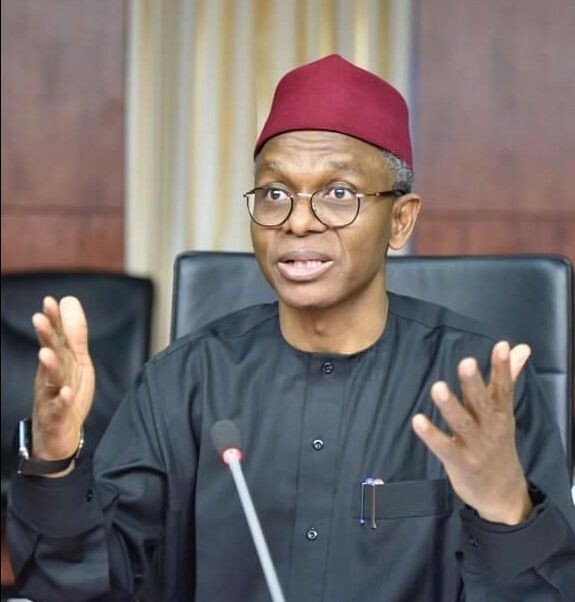 But, whether and when it achieves it remains an open question, if you ask me, voting President Muhammadu Buhari and Mal Nasir EL-Rufai is the answer,” she opined.